The head of a 15-year-old boy was savagely bashed in a murder allegedly connected to drug dealing at Satapuala. The death has become the subject of a Police investigation which saw armed Police officers in the area yesterday. Nearby, the community is coming to terms with the gruesome discovery. 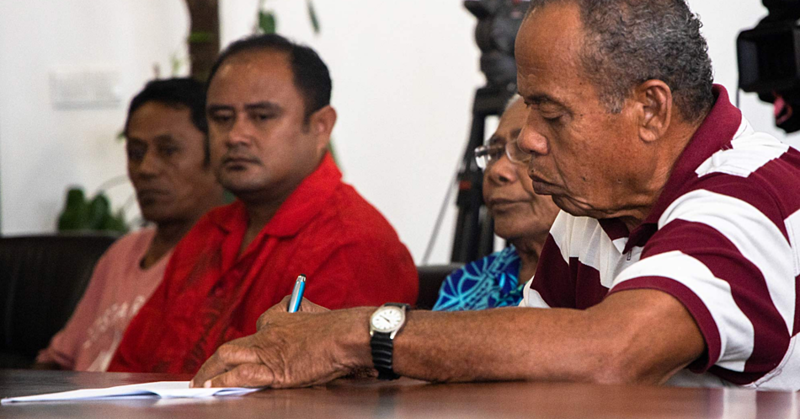 It was not possible to get a comment from the family of the boy, whom the Police have identified as Uili Uili of Satapuala. 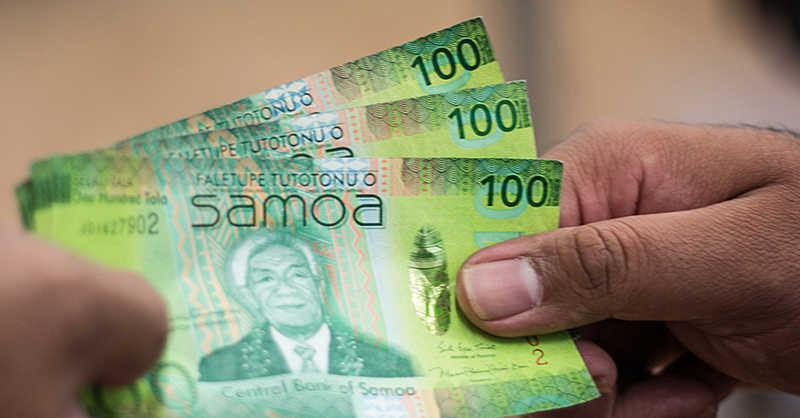 According to the Police Superintendent and Media Spokesperson, Auapa’au Logoitino Filipo, the boy’s family reported the matter to the Police on Wednesday because he did not return home the previous day. This set off an investigation by the Police, which led them to a marijuana farm. The boy was found nearby. The Police have since seized the marijuana farm, estimated to have a street value of more than $100,000. According to two men from Satapuala, the boy was last seen on Tuesday. “On Thursday evening, more than 20 Police vehicles with more than 30 Police officers came to our village and went directly to the area called the ‘Poloka’,” the eyewitness said. “The Police did not find the body of the missing kid on Wednesday. “He was found (yesterday) with severe injuries to his head and his body was decomposed. It appeared that his head was smashed by a heavy object. “They arrested two men that evening and confiscated a whole lot of marijuana plants. “This morning (yesterday) another police motorcade came; more than 30 Police officers I saw were geared up and armed with shotguns,” the Satapuala man added. 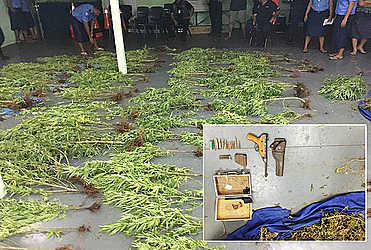 Auapa’au did not wish to comment on the account given by the men from Satapuala, but confirmed that 200 marijuana plants were confiscated, some of which were six feet tall. “Some of the marijuana has already been dried and stored in buckets,” he said. “It’s possible that this may be the largest marijuana farm the Police have confiscated. Asked when the body was discovered, Auapa’au said the execution of the warrant yesterday led to where the deceased was found. “I cannot further comment on the matter as investigation is ongoing. “However the Ministry of Police wishes to convey its deepest condolences to the mourning family. 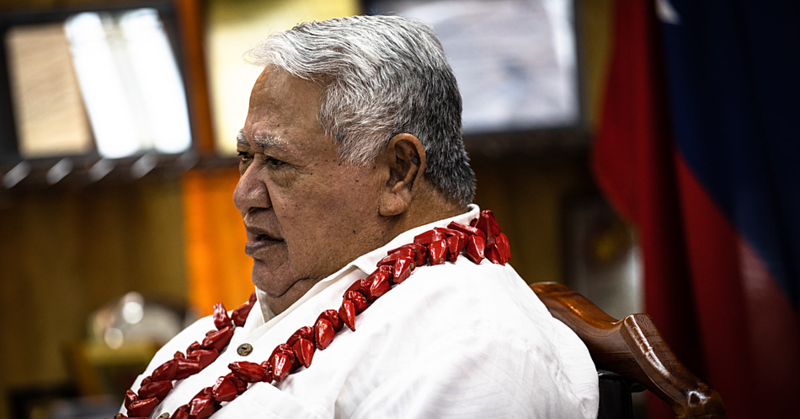 Auapa’au said five suspects had been arrested so far. “On Wednesday 19th January 2017 police received a request for assistance regarding a 15 year old male, Uili Uili of Satapuala who was reported missing by his family since Tuesday 9th January 2018. The concerned family indicated to police that he is suspected to have been a victim of a drug related incident. Faleolo outpost responded to the request and as a result police confirmed the existence of marijuana plantations and possible high powered weapons. The information received during the preliminary investigation lead to the execution of a Search Warrant at Satapuala on Thursday evening. As a result of the police search, close to 200 plants and loose marijuanas were seized. The concerning amount is estimated to earn approximately at a street value of over $100,000 tala. Police also seized an illegal weapon and ammunitions associated with the cultivation of marijuana plants. However they were not able to locate the missing teenager. Earlier this morning police reconvened its search and were able to locate the body of the victim. More marijuana plants and possibly high power military ammunitions were seized. A number of booby traps installed in the area were also removed by police. A total of 5 suspects are now under police custodies with a few more to be charged in relation to the cultivation of marijuana and possibly for the homicide case. Further additional charges are expected as the investigation unfolds. Samoa Police Service offers its deepest condolences to the family of the deceased. "We wish to thank the Ministry of Justice and Courts Administration, Office of the Attorney General and Police Minister for supporting SPS in the execution of our duties.